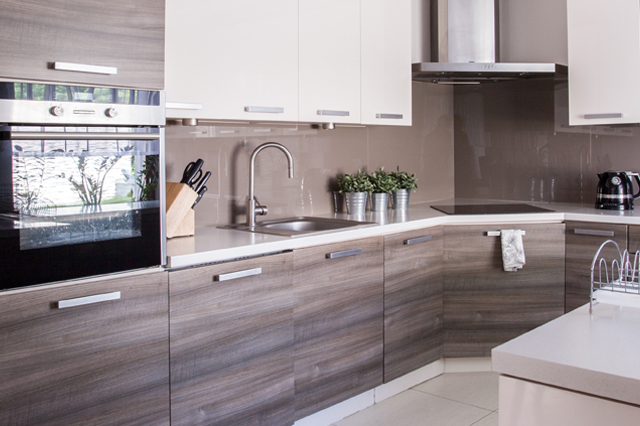 There are so many vital factors to consider when choosing the ideal kitchen for your property. After all, the kitchen isn’t called the heart of the home for nothing. It’s a place where families and friends spend a great deal of their time cooking, socialising and dining together and this is why, when you choose a kitchen, it should be one which fits perfectly with the style of your home and comes with a design that you’ll love for many years. Other factors important to you, as well as the look and feel, could include the durability of the work surfaces, the diversity of colour choice, design or style, or the hygienic nature of the material they’re made from. Why choose Corian for your home, for these exact reasons! Extremely hygienic, thanks to the non-porous surface, which prevents dirt, stains, mould and bacteria from getting in. As you can see, there are many reasons why a Corian kitchen is so popular and we are pleased to say that Dewhirst is an official Corian distributor. The variety of ranges available include Contemporary Rustic, Cosmopolitan Chic, Mid-century Modern and Outdoor Charm. No matter how you need your kitchen to look, or whichever shape or size you need, Corian kitchens can be tailor made to suit your specific requirements, with curves, inlays and sinks all integrated perfectly to give the impression of luxurious elegance and style. If you’re looking for a hardwearing kitchen that won’t lose its shine, then you can’t go far wrong with Corian. Why not take a look through the brochure? You’re pretty much guaranteed to find something that you love and if not, these manufacturers are so adaptable that there is the possibility to create a unique space, perfectly suited to your individual taste and lifestyle. If you’re looking for Corian in Leicester, then you can get in touch with us today to arrange a consultation or find out more.